Zinfandel is often called California’s heritage grape. It was one of the first grapes planted in the Golden State which still remains in large numbers today. Some Zinfandel vines in Sonoma County date back to the California Gold Rush era. UC Davis has a one-acre vineyard - the Heritage Vineyard - where 90 selections of Zinfandel cuttings - 60 years and older - from 14 different California counties are planted. They hope the study there will serve as the key that unlocks some of Zinfandel’s mystery. They hope to find "whether the grapes' uniqueness is due to the particular clone of Zinfandel or the site, climate, soil and cultural practices." I have had the good fortune lately to sample some Zinfandel wines of Dry Creek Valley. The good folks at Dry Creek Vineyard provided me with a sample of their 2011 Heritage Vines Zinfandel. This wine was first released in 1997 as Heritage Clone Zinfandel. The vines are old, but were bud grafted into a new vineyard. The average vine age for the grapes used here is 30 years. The winery claims that the grapes show a youthful vibrancy, along with the complexity of a true old-vine wine. The vineyard offers gravelly loam and clay-based soils on rolling hills and steep hillsides. The 2011 vintage was marked by winter rain that lasted into late spring and early summer. An unusually cool growing season helped restrain the alcohol, even though it still rocks 14.5% abv. The winery also credits the wine’s silky structure to the cool vintage. The Heritage Vines Zin was fermented in stainless steel, then aged in French, American and Hungarian oak barrels for 19 months. Flying under the Sonoma County appellation, 10,310 cases of the wine were made, and it retails for $19. The wine is made from 84% Zinfandel grapes and 16% Petite Sirah. The 2011 Dry Creek Vineyard Heritage Vines Zinfandel carries a medium garnet color and looks a little lighter than many wines of this variety. The nose carries plenty that I like about Zinfandel - clove, vanilla, sage, brambly currant, raspberry - and the aromas are not shy at all. The palate offers spicy peppery eucalyptus and strawberry, raspberry and cherry fruit that is juicy and somewhat tart. The fruit shows very well, but the spicy character really steals the show. This wine will dress up even the plainest piece of meat you can put on the table. By the way, if you wonder why a winery in a place named after a dry creek would sport a sailboat on their labels, it's because they simply happen to love sailing. They began featuring sailboats on their labels in the 1980s, and it proved to be an aye-catching and memorable design. Sonoma County artist Michael Surles has provided all the beautiful paintings for the Dry Creek Vineyard labels. The winery also supports the sailing community in many other ways. The words "old vine Zinfandel" are bandied about in California almost as much as the words "I know a guy in the movie business." This is true especially in Sonoma County, where there are plenty of Zinfandel vineyards dating back before Prohibition. Some date back to the Gold Rush days. So, invariable, the question arises: "how old is old?" There is no legal definition of what constitutes an "old vine," so Dry Creek Vineyard arbitrarily sets 50 years as the minimum age, although their Zinfandel vines are mostly around 90 years old, some more than 110 years. Writing about old vine Zin in the San Jose Mercury News, Laurie Daniel notes, "These twisted, gnarled plants produce naturally low yields of grapes that are concentrated, intense and flavorful. [Ravenswood's Joel] Peterson says these vines are more integrated with their surroundings and exhibit consistent behavior, in addition to producing a naturally small crop. However, he says, 'There are vines that are 60 and 70 years old that aren't behaving like old vines,' because they're growing on a more fertile or productive site. At the same time, he says, a dry-farmed zin vineyard on a marginal site might produce old-vine-type fruit when the vines are younger." Dry Creek Vineyard is based in the Sonoma County town of Healdsburg, with vineyards in the Dry Creek Valley appellation. The winery was founded in 1972 by David Stare, and they say it was the first new winery in Dry Creek Valley since Prohibition. Today it is run by Stare's daughter and her husband. During the 2011 vintage in Dry Creek Valley, winter rains lasted into late spring and the growing season was unseasonably cool. Dry Creek Vineyard Winemaker Tim Bell - ably abetted by Assistant Winemaker Nova Perrill - says 2011 might be the best vintage of old vine zin they have produced. Sugar levels were low, but ripeness was excellent - a good situation for Zinfandel. This Old Vine Zin is made from 83% Zinfandel grapes and 17% Petite Sirah. Alcohol hits 14.5% abv, not terribly high for Sonoma Zinfandel. The wine is aged for 20 months in French, American and Hungarian oak, 28% of which is new. 3,214 cases were produced, and it retails for $30. The hillside vineyards from which the grapes come contain gravelly soil with decomposed granite in some areas. The average age of the vines is 90 years. A sample of this wine was kindly provided to me for review. The 2011 Dry Creek Valley Old Vine Zinfandel has a medium-dark ruby color and a nose perfumed with dark berries, black cherry cola, coffee and peppery spices. The aromas are fragrant and vivid and they lay out what's in store on the palate. Blackberry flavor dominates, with a wave of spice following. Anise, nutmeg and cinnamon notes mingle with a brambly texture, while the coffee is transformed into black tea. Acidity is bright and focused and the tannins are strident without wearing out their welcome. It's a hefty sip, but it matches quite well with Korean barbecue. It's fitting that Bonny Doon Vineyard's leader, Randall Grahm, ventured into the hard cider market. Ever the adventurer, Grahm has bravely pursued the elusive magic of wine with the grapes of Burgundy, the Rhône valley, Italy and Spain. The trophies he has amassed for his achievements are numerous enough to fill a pretty fair-sized mantle. His status as the premier Rhône Ranger was recognized with a Lifetime Achievement Award. So when he decides to make cider, people are interested - even if they don't regard themselves as cider lovers. And if they don't, it's probably because they have yet to try Grahm's cider, quizzically called ¿Querry?. In his email message presaging the sample for review, Grahm explains that with the most recent vintage (2013) of Querry Cider, the production technique was changed slightly after the previous (2011) bottling. He states that the 2011 Querry "derived its carbonation from bottle conditioning. This time we've gone with a less labor-intensive methodology, (i.e. bottling @ 30° F. and saturating w/ CO2), enabling us to offer the new vintage at a more accessible price." That low, low price is $12, in a 750 ml bottle. 7,000 cases were produced. Grahm adds that there is a "slightly wider range of pear and apple varieties in the blend, including a substantial percentage of Gala crabs, which along with the quince, has given the cider a slight bracing astringency, very appropriate to this style." Alcohol stands at 6.9% abv. In fact, the 2013 Querry is made up of 62% Pears, 36% Apples and 2% Quince. The pear varieties used are Seckel, Bartlett, Forelle and Beurre Hardy. A host of apple varieties are present: Jonagold, Golden Delicious, Gala, Autumn Greeting, Cripps Pink, McIntosh, Pink Pearl, Gala Crab, Pippin and Braeburn. As for quince, Rosaceae and Pineapple are the two types used. Querry's nose delivers just what the percentages suggest - pears, apples and quince - but in a more complex manner than that description indicates. It's a juicy and real fragrance, with a sweet, green herbal shading adding texture. The quince comes through stronger than expected. The palate is off-dry, not too fizzy and wonderfully fresh. It so clearly delivers its fruit that it invites consumption at breakfast. I don't usually recommend alcoholic beverages with the morning meal- not every day, anyway - but for Querry I would make an exception. Grahm suggests a pairing with sushi or cheeses, perhaps at a more reasonable hour. A little squat bottle of Paso Robles Primitivo dessert wine was hauled out of the Now And Zin wine rack recently where it had lain patiently for a couple of years. I had bought the wine on a visit to the winery in the summer of 2011. It appears to be non-vintage, port-style wine from Sculpterra Winery. Sculpterra is the culmination of a dream that possessed Dr. Warren Frankel to take down his shingle and plant some grapes. The Sculpterra Visitor Center is marked by a beautiful sculpture garden containing some genuinely striking large format artwork. Their website urges, "Get the art out. That is, bring it outside." In this garden you will see some astounding bronze and stone sculpture by John Jagger.The Frankel Family Estate vineyard contains not only about 117 acres of many different grape varieties, but an additional 30 acres of pistachios. I know - they're nuts. The Primitivo grapes come from a section of the vineyard known as the Eight Acre Ridgeline block. Winemaker Paul Frankel makes a Primitivo varietal wine as well as this dessert wine. The sweetie retails for $32. As a doctor, the elder Frankel made sure he didn't leave his original calling behind. Their website explains, "A portion of the proceeds from the sale of Sculpterra wines are donated to His Healing Hands, a non-profit medical missionary organization that sends temporary medical teams into communities around the world that need urgent healthcare and respond to natural disasters." The dark wine has a strong alcoholic nose - not a surprise with a fortified wine. Underlying the heat are savory aromas of figs and salted caramel. On the palate, every bit of the 18.5% alcohol content is present, with some lovely dark fruit fighting through. Raisiny tones shape the finish and the mouthfeel is very lively apart from the alcohol. Sugar stands at 12.65 gm/100ml, so it's a dessert on its own - although it paired nicely with a dark chocolate pistachio toffee treat. Lodi wines were explored in modern fashion recently as a public relations firm offered to include me on a virtual tasting session of Lodi wines, an offer I was happy to accept. The wine described here was provided to me for the purpose of the virtual tasting. The Lange family has been farming Lodi dirt for five generations, although grapes have been their focus for only the past 30 years. Twin brothers Randall and Bradford Lange opened the winery in 2006, and winemaker David Akiyoshi works closely with winegrower Charlie Lewis to craft the winery's product. See a previous Now And Zin article about them here. The LangeTwins Centennial Zinfandel 2009 is all Zin, from 104-year-old vines which are sustainably farmed. Alcohol is way up there, at 15.2% abv, although it doesn't drink like it. The wine was aged for 24 months in new American oak. It shows, but the oak is integrated very well and the wine is quite balanced. Less than 200 cases were produced, and the sell at a lofty $60 per bottle. In the virtual tasting event for which this wine was supplied, there was much support for the LangeTwins Zin, some of which seemed fairly incidental. "Cantara - Mike Brown's winery in Camarillo," tweeted one participant, "using Lodi fruit! He went to school with Lange twins." That's one of those bits of knowledge that may come in handy someday, but who knows how? The wine has a medium ruby hue and a delightful nose full of brambly black cherry and nutmeg. The palate is rustic and fruity, with vibrant acidity and toothy tannins. Notes of coffee grounds and lavender mix it up and keep it going into the finish. It's really a fantastic Zin - at the price, it had better be. Field blend wines are those for which various different grape varieties are grown and harvested together, then cofermented. 19th century winemakers found it advantageous to blend the wine in the field, rather than use separate barrels for each grape variety. Today's methods are more expensive, but more flexible. However, those longing for Zinfandel the way great-great-grandaddy used to make it can find field blend Zin in Dry Creek Valley. As noted in the first of this series, Dry Creek Valley is located in Sonoma County, with a history of grapes that dates back to California's Gold Rush days. The valley is 16 miles long, two miles wide, and sustains 9,000 acres of vineyards. I was supplied with three field blend Zins from Dry Creek Valley for the purpose of a BrandLive virtual tasting event with the winemakers in January 2014. This is the second wine in the series, from Dutcher Crossing. Dutcher Crossing has an estate vineyard and sources fruit from a handful of other local grape-growers. This field blend Zinfandel - Dutcher Crossing Bernier Sibary Vineyard Zinfandel 2012 - is named not only for the vineyard from which the grapes come, but also for the grower. Jane and Scott Sibary partner their hillside vineyard property with grower Paul Bernier. The land is planted to organically farmed Zinfandel, intermixed with Petite Sirah, Carignane and Mataro - more often called Mourvèdre. The object of the planting method was to make a Zinfandel wine with nuances from the other varieties. In 2012, the vineyard was harvested in mid-October. Winemaker Kerry Damskey says the long hang time was critical to the ripening of the interplanted Carignane and Mataro. Temperatures held fairly steady through the season and no inclement weather hampered the growing. During the video presentation, Damskey revealed that he and another man are responsible for all the Zin vines in India, having brought them there in a suitcase. Who knew? Damskey was able to produce 477 cases of this Zin, which retails for $43 per bottle. The blend is 75% Zinfandel, 10% Petite Sirah, 10% Carignane and 5% Mataro. He likes the "mushroomy" notes added by the Mataro grapes. The 14.9% abv alcohol number is fairly high, even by Zinfandel's usually lofty standards. During vinification there were 22 days of skin contact, insuring a rich color. The wine spent 14 months in barrels, 30% of which were made from new French oak. The wine's foil cap is adorned with the image of a vintage high-wheel bicycle, which was given to proprietor Debra Mathy by her father. It is stated on the winery's website that the velocipede "represents Dutcher Crossing's pursuit of quality small-lot winemaking, the guiding power of her father's imagination and the journey that lies ahead." Ride on, sister. This is a big Zin, and it shows it right away. Its dark purple color and a huge blast of alcohol on the nose tip the scales towards brawny expectations. After some time, the alcohol blows off. There is a sweetly medicinal aroma left draped over the fragrance of dark fruit and cigar tobacco. On the palate, a bit of bramble joins an otherwise elegant display of dense, dark fruit. A long finish features cassis and spices. Tar notes come forth on the second night open. Located in Sonoma County, Dry Creek Valley's grape history dates back to California's Gold Rush days. The valley is 16 miles long, two miles wide, and sustains 9,000 acres of vineyards. I was supplied with three field blend Zins from Dry Creek Valley for the purpose of a BrandLive virtual tasting event with the winemakers in January 2014. We'll cover the first of the three wines today. The Twitter-based event attracted a good crowd who were very complimentary of the wines. Some of the social media wine tasters commented, "For every overblown zin, these are the counter-point. They show how elegant & sophisticated zinfandel can be," "These zins are worth the price," and "These are beautiful wines. Zinfandel was my first love." 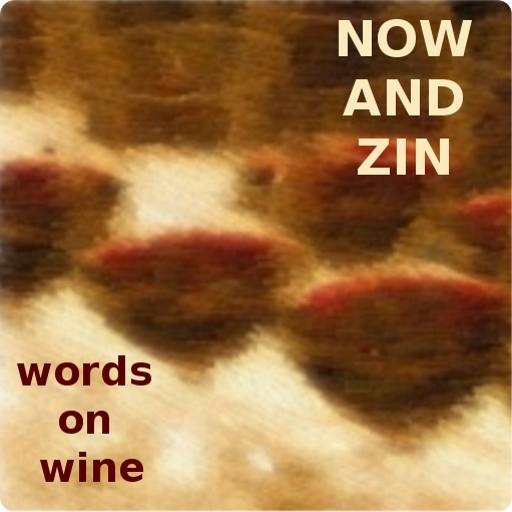 You can find the Twitter stream by searching #DCVZin, and see the archived video of the three winemakers' comments here. At Ridge Vineyards, they like to follow what they call the natural process of winemaking with minimal intervention. "When you have great vineyards that produce high-quality grapes of distinct, individual character," it says on their website, "this approach is not only environmentally and socially responsible, it’s also the best way to consistently make fine wine." Lytton Springs is one of the great Ridge estate vineyards. The vines were planted near the turn of the 19th century and Ridge's first vintage from Lytton Springs came in 1972. It also happens to be a field blend vineyard. The mix of grapes figures out to 82% Zinfandel, 16% Petite Sirah and 2% Carignane, all grown together, hand-harvested together and fermented together. Alcohol hits 14.4% abv, a fairly typical mark - even a bit on the low side - for California Zinfandel. It retails for $38. The 2011 growing season featured above average rainfall, a wet spring and no sustained hot spells during the cool summer. This Ridge Lytton Springs Zinfandel is aged 14 months in American oak barrels, 25% of which are being used for the first time. Winemaker John Olney likes this wine after six months or so of sitting in the rack, although he's more than happy to drink it now. The Ridge Lytton Springs Zinfandel 2011 is a very dark colored wine with a very aromatic nose. Dark fruit and oak spice lead the way, with shadings of cinnamon, allspice, vanilla, cedar, anise and tobacco taking turns in the spotlight. Tasting the wine reveals an elegant palate of black cherry, raspberry, spice and a hint of orange tea. The tannins will work with about any type of meat, but it strikes that pork roast would make a great pairing with it. Blue cheese fits it nicely and even a handful of salty pecans works extremely well. Here’s another of those Top 12 Holiday Wines from Whole Foods Market, which they promoted back in December. It’s a wine that could serve as well now, with the Groundhog Day festivities out of the way. The Novellum Chardonnay 2012 is from the southern part of France. It’s categorized as a Pays d’Oc wine, which I love to hear Americans try to pronounce. We’ll just say it comes from a Vin de Pays region that roughly corresponds to the geographical area of Languedoc-Roussillon. This white is produced by Jean Marc and Eliane Lafage for Eric Solomon Selections. The importer rides under a banner that reads, "Place Over Process,” and their offerings are top-notch. This one is no exception, and it’s a great value wine, too, at only $11. The wine is unoaked, but is aged three months on Viognier lees, according to the Solomon website. This accounts for the generous mouthfeel and somewhat spicy nature of the wine, and also tricked me into thinking there was oak aging involved. The alcohol level for this custom cuvée is a moderate 13.5% abv. Novellum sure looks good in the glass, giving off a rich, golden color. The nose has some fairly big fruit aromas, with apples and pears clearing a path for a touch of honeysuckle and a hint of spice. The acidity is moderate - certainly enough to consider the wine to be extremely food-friendly. The palate is loaded with juicy fruit, and minerals play a larger role than on the nose. It’s a great sipper, but it really belongs on the table.